The Holidays start as early as July in the retail industry. So be careful. Unless a Holiday Decorating item is in your Holiday Planner, put it back! What's a Holiday Planner? 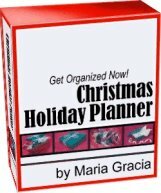 Please see Simplify The Holidays for more on how much a planner just for the Holidays can keep you organized. 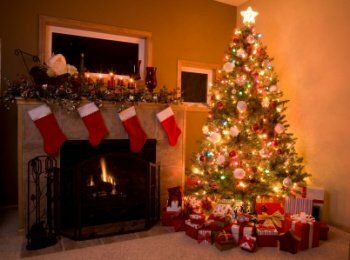 Many of us have attics and basements loaded with Holiday Decorating "Stuff". What pressure this puts on us from November through getting it all put away in January (hopefully!). Organize Holiday Decorating to help you enjoy rather than endure the Holiday Season. Add whatever you REALLY enjoy seeing in your home during the Holiday Season. Now schedule a day or weekend to devote to decorating. If you are really short on time, pull out what you use in one shift. Decide ahead of time what will go where and write it down on your Holiday Decorating Page. Then do the actual decorating the next day. It's easy...take your list and decorate with just the essentials and your favorite decorations. Of course you can add or take away depending on other family member's wishes but please try to keep it simple. 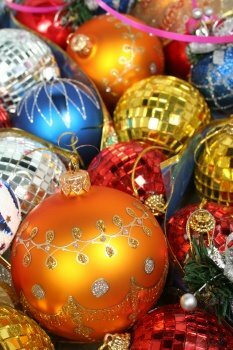 January is Holiday Decorations-Organize It! Month here at HomeOrganizeIt.com. You will take down, sort, organize, store and label all "keeper decorations." No more Holiday Decoration Chaos! A big job with bigger payoffs-you guessed it-more time to enjoy future Holiday Seasons! After the Holidays, just click on "Organize Decorations" to get started on chasing away those Holiday Decoration Blues. Until then, enjoy all that extra time you have created. Happy Holidays! Go From Organize Holiday Decorating to Home Organize It!